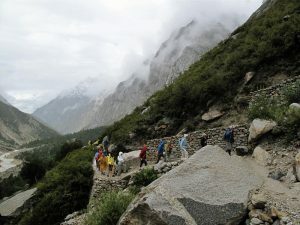 In another guest post from our Indian travel blogger, Rohit Agarwal encourages readers to indulge their adventurous side by running off the edge of a cliff. What better way to arrive at a destination than through air, in style. The experience of paragliding makes you feel on top of the world while in air, and the feeling takes weeks to subdue even when you return back to Earth. 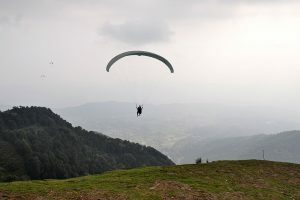 India’s skies offer some spectacular opportunities for Paragliding. 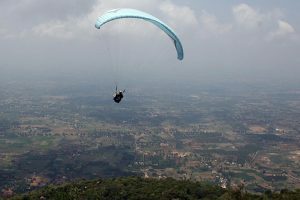 Head to any of these 10 paragliding paradises of India and indulge in this daring adventure sport. The go-to spot for paragliding in West India, Pawana provides a beautiful and unique paragliding experience. 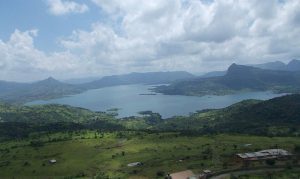 Enjoy the aerial view of the shimmering Pawana Lake, surreal forts and the magnificent Earth, giving you unparalleled sights of the glorious Maharashtra. 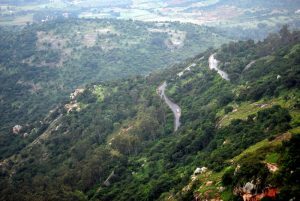 A star attraction for paragliding fanatics, Nandi Hills is a favorite for both locals and tourists to try the sky sport. Located a few kilometers away from Bangalore, it invites all thrill-seekers to try its exquisite launch pads, 1400m above sea level. While in the sky, you can also enjoy the inspiring sights of Bangalore’s Hebbal Lake in all its beauty. Get towed up to a height of 700m via a hydraulic system for the ultimate paragliding experience in Shillong. 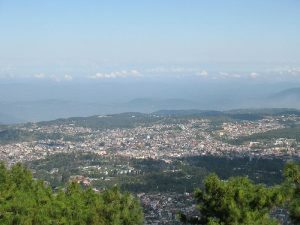 With a world-class paragliding set-up, Shillong is the best place to fly like a bird in North-East India. 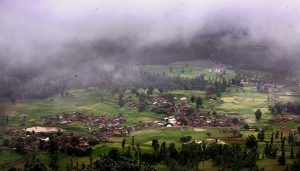 Head on to this exquisite hill station and get a glimpse of its gorgeous landscape from the sky. A hub for adrenaline junkies, Goa offers a great many adventure sports to try, paragliding being one of the many. Paragliding would give you a different angle to view the famous beaches of Goa, from bubbling with throngs on people to a serene and peaceful feat of nature. Cruise through the air and experience being on top of the world at Arambol in Goa! 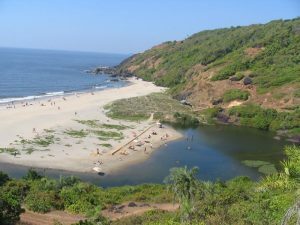 Check http://www.transindiatravels.com/goa/tourist-places-to-visit-in-goa/ before preparing your itinerary to Goa. The Aravalli ranges are a perfect place to experience the gushing wind while you cruise through the sky. Paragliding in the Satpuras range is a rejuvenating and enchanting experience, one you must not miss. The paragliding launch sites are located at Pavagadh Hills, rising 800m above sea level. 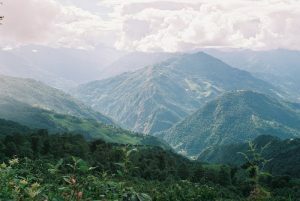 The hill station is a volcanic cone itself. Therefore, paragliding above it is a truly electrifying and one of a kind experience. 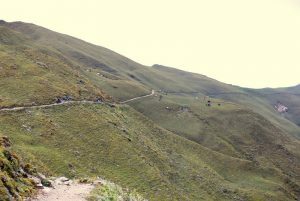 At an elevation of 3000m in Uttarakhand’s Chamoli district, Bedni Bugyal is a beautiful Himalayan meadow. A flawless sight for the lovers of high flying, paragliding here offers stunning views of the mammoth Himalayan Mountains, whose height is grossly undermined by the aerial viewpoint.